Whether you are a movie buff or are hooked to your TV serials on a daily basis, you cannot overlook the importance of a good TV. LED TV is the latest kind of TV you can buy. 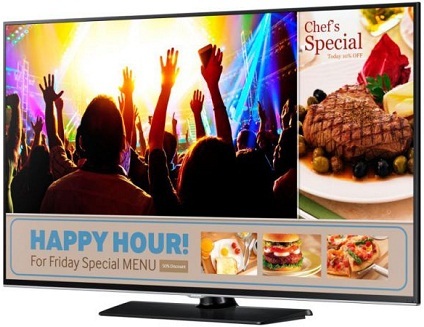 LED TV is an LCD tV with an LED backlit display. Besides being the latest technology, LED televisions pack a lot of amazing features like full HD and ultra HD resolutions which deliver excellent picture quality. You can watch all the high-definition movies you want on the latest LED TV, thanks to the USB and HDMI connectivity. Mitashi 16" LED TV comes with a 1366X768 (720p) along with a slim bezel display that enables you to view every single detail with superior clarity. You can connect this TV to a USB device and enjoy your favourite movies and music videos whenever you feel like. - Watching a curved LED TV makes you feel as if you are watching something for real and not a TV. - The world around is curved and not confined to a flat screen. You can experience a wider viewing angle when you watch a curved LED TV. - The images look sharp on the edges and resemble a 3D TV. Wish to turn your drawing room into a cinema hall? Invest in any one of these LED TVs for a full cinematic experience. Unlike most LED TVs, Weston 32" LED TV comes with stereo sound for an impressive clear audio output. Thanks to the advanced technology, the 32 inch LED TV retains its clarity even in fast motion scenes. With 3 USB and HDMI ports, connecting your multimedia devices to your TV is easier than ever. Be it a romantic movie or an action flick, the 1366 x 768 screen resolution of the Weston 40" LED TV makes it for a delightful movie watching experience. You can connect your pen drive or smartphone and watch the movie of your choice as this TV comes with an integrated HDMI & USB port. A smart TV is basically an internet enabled TV with an array of features. The best part about buying a smart TV is that you don't need to be dependent on the cable operator for watching your favourite movies. You can simply stream the movies, TV shows, videos etc of your choice and watch it directly. Make sure you have a high speed broadband internet to enjoy quality content on your TV buffer-free. A smart TV also allows you to surf the internet from your TV. Why buy a desktop when you can surf the internet from your TV! Samsung RM40D comes with a professional grade IPS panel with 350 nits brightness along with Wide Colour Enhancer Plus drastically improves the quality of any image and uncovers hidden details. With full HD resolution, this smart TV delivers rich and vivid images which is twice as sharp as standard HD TVs. With an embedded Wi-fi and USB support, you can enjoy the content stored in your smartphone on to the TV. You can connect a USB device to the TV and watch your favourite movies and videos easily.